Give your dining room coastal flair with the Bahama Lattice 8 x 10 Rug. 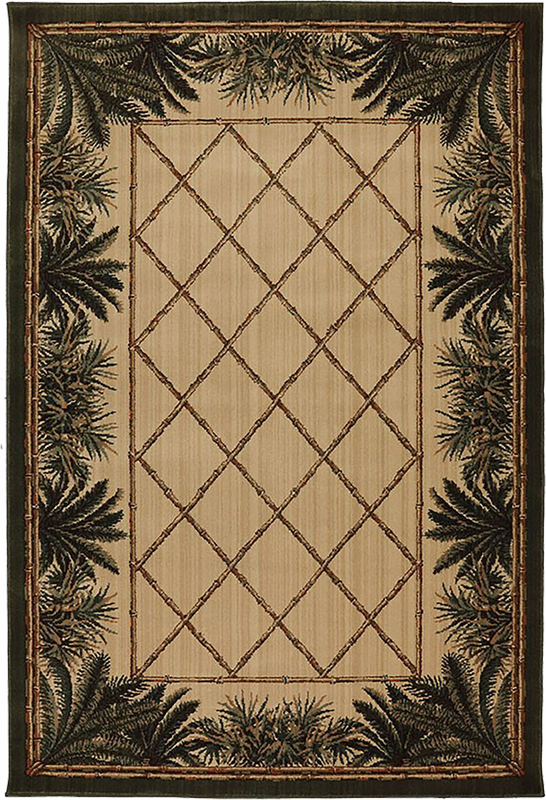 This nautical area rug is detailed with tropical foliage bordering a latticed bamboo design in dark green and neutrals. For further items, we ask you to take a moment to have a look at our thorough range of coastal area rugs at Bella Coastal Decor now.